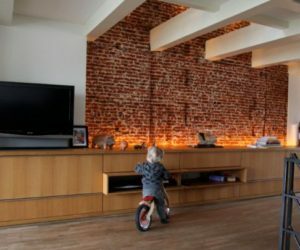 It can take a while to warm up to the idea of having exposed bricks in the house but once you get to see how charming they can look, you start looking for more ideas. 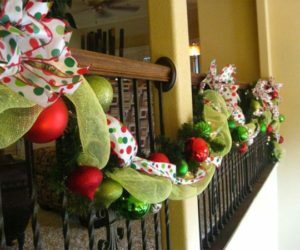 There are plenty of ways for you to take advantage of such an accent detail. 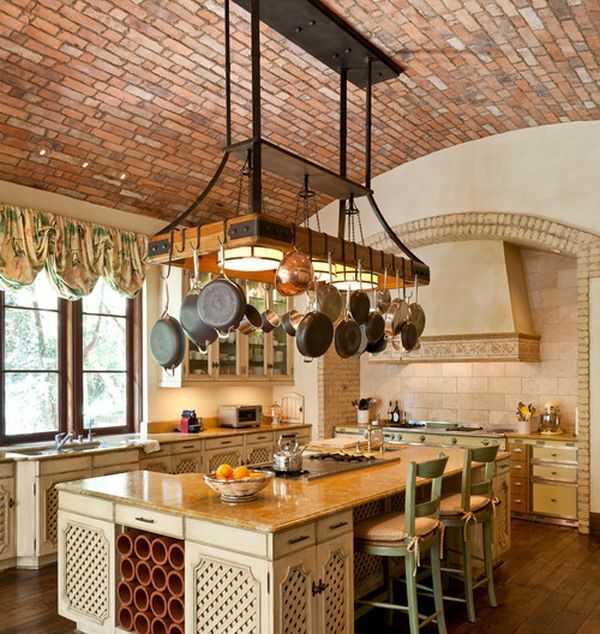 Try an exposed brick backsplash for the kitchen, a brick fireplace wall or a brick fence for the garden. 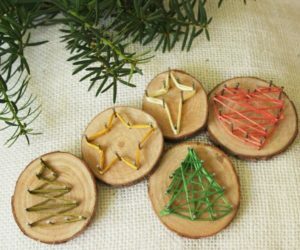 More inspiration coming up! 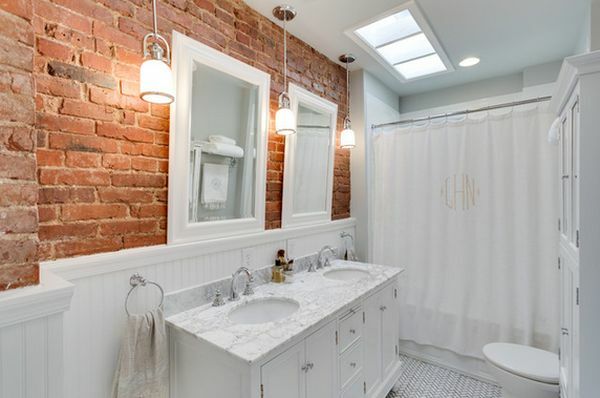 Whitewashed brick walls for the exterior. 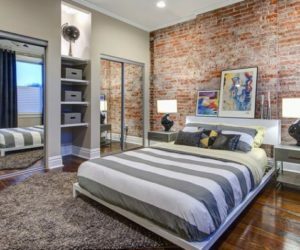 Want to maintain an old building’s charm while giving it a modern touch up? 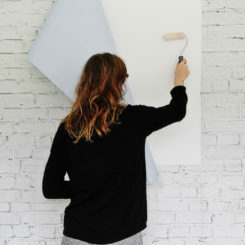 Whitewash the exterior brick walls. You’ll get a brand new look while preserving the history and the original character. 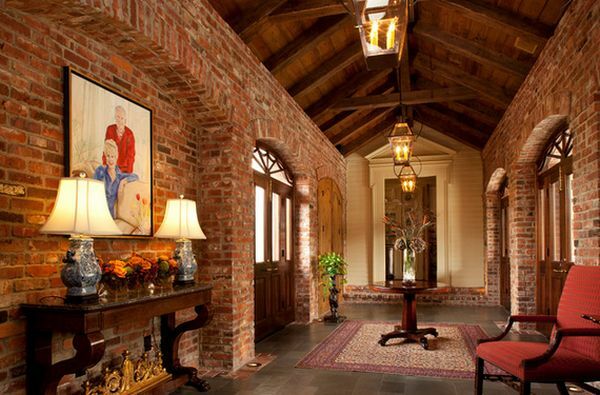 Greet your guests with a charming hallway design featuring exposed brick walls and perhaps even a wooden ceiling. 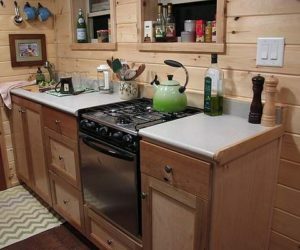 You’ll get a rustic and inviting look with plenty of character, a look that will last for years to come and will only become more charming. 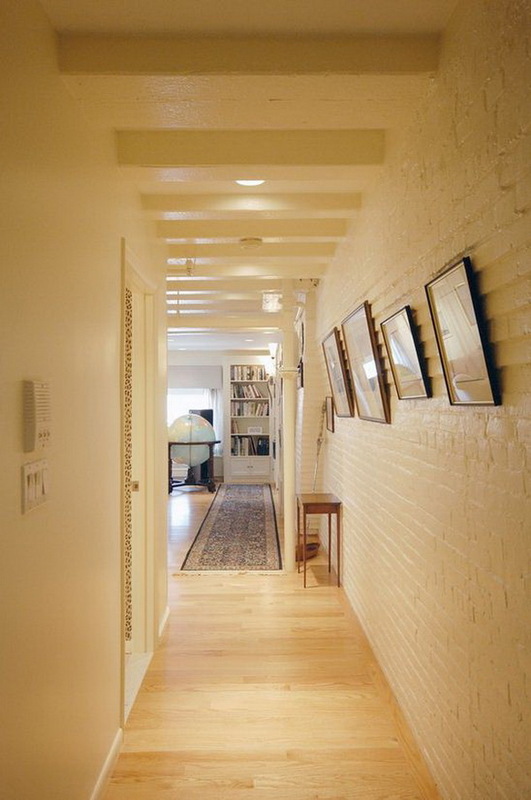 A hallway similar to the one we’ve just presented can look a little bit more modern and fresh if you paint the walls. 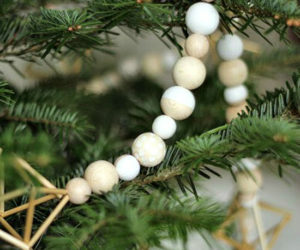 The texture will, of course, offer it a warm and rustic look but you have more freedom when choosing the color palette. 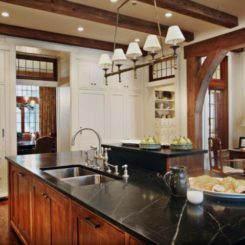 Columns are typically regarded are inconvenient features in any space, whether it’s large or small. Yet they necessary in order to support the structure. 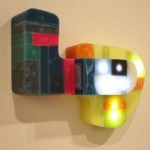 This means we have to find ways to make them aesthetically pleasing. 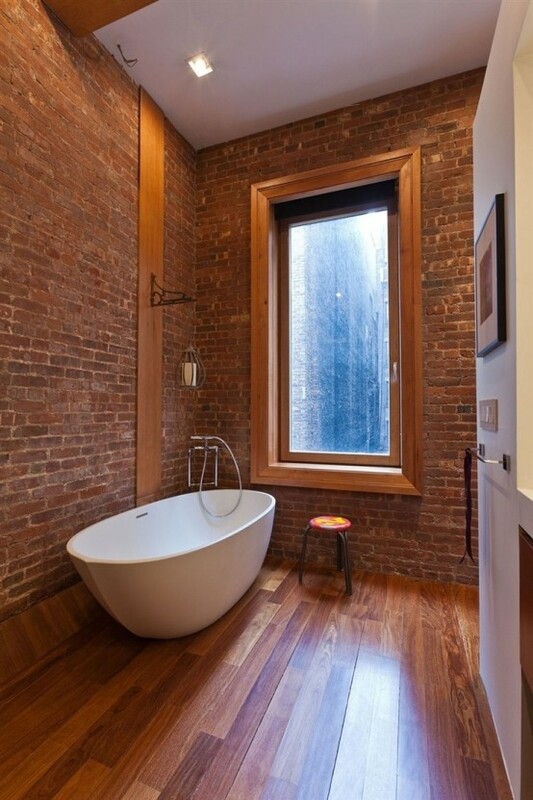 One solution is with exposed bricks. 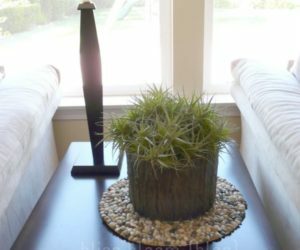 This way a column becomes an accent feature for the décor. 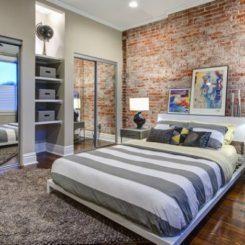 Because brick walls give out a sense of warmth and harmony, they are particularly suitable for areas such as the bedroom. 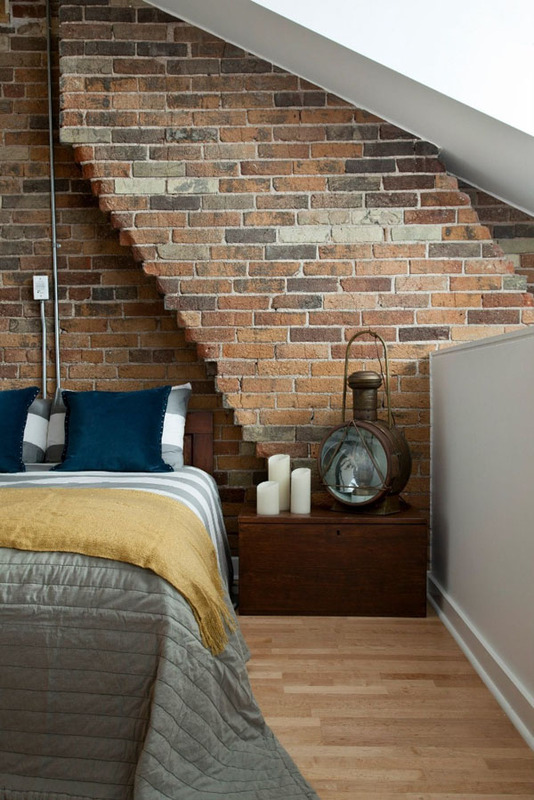 An exposed brick accent wall can help make the room feel cozy and welcoming. 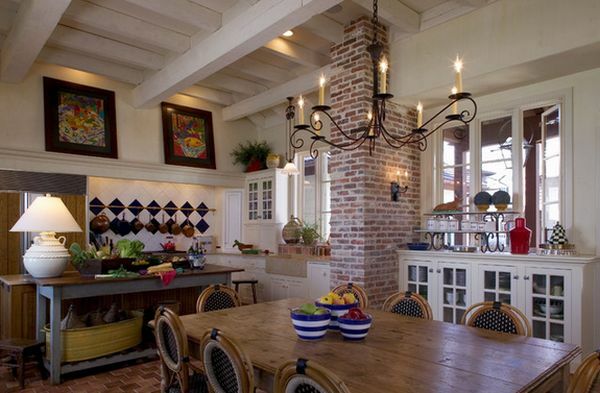 However, a single such wall is often enough, unless you choose a rustic design for the whole house. 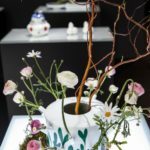 The versatility of this material allows us to find extraordinary ways of incorporating it into the design of each and every room of the house. 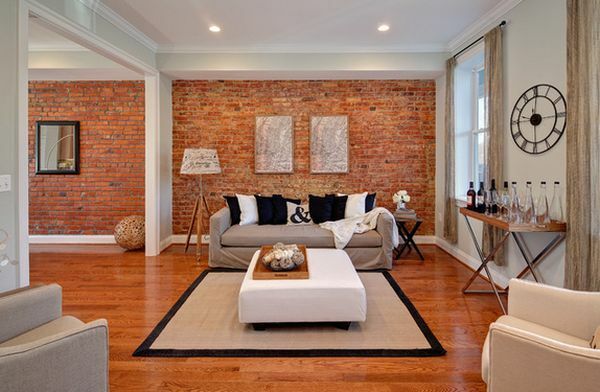 The best place to showcase an accent brick wall is, of course, the living room. 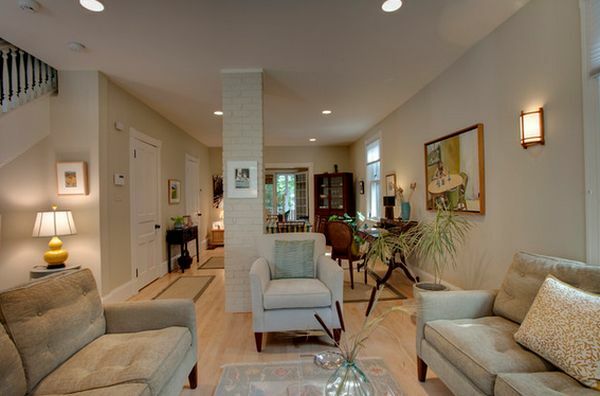 Usually spacious, living rooms can turn brick walls and surfaces into gorgeous focal points. 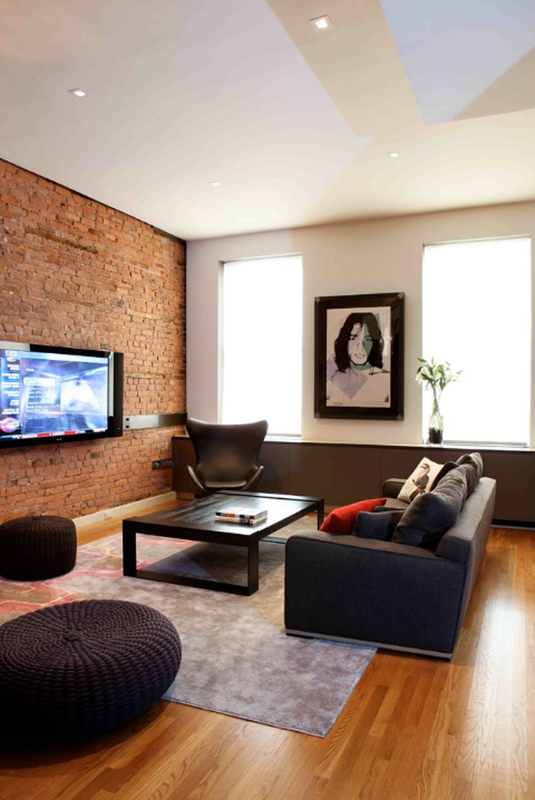 The TV wall is the main focal point in any living room. It’s inevitably where we look when we enter the room. 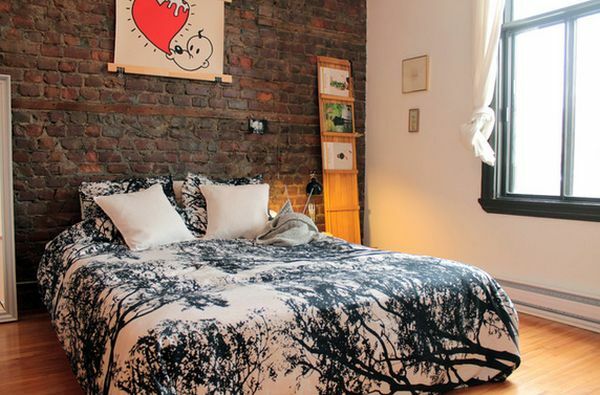 This is why choosing an eye-catching design for the wall itself is often a good idea. For example, try a brick wall. 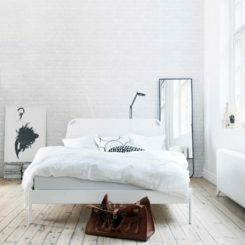 It’s a nice way to create some contrast for the room and an opportunity to break the monotony of the décor. 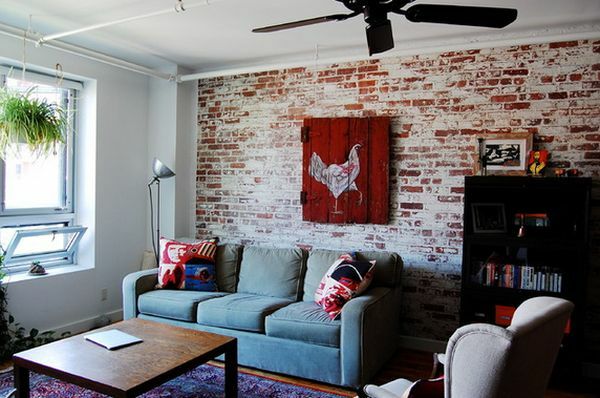 Aside from whitewash which can offer brick walls a more casual and fresh look, there’s also the option of painting them. 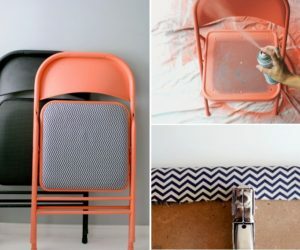 You’ll still give the room character and preserve the texture and pattern but you’ll also get to pick a color that complements the whole décor. 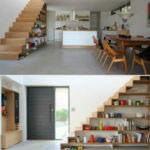 It can prove to be an excellent idea for modern and contemporary spaces. 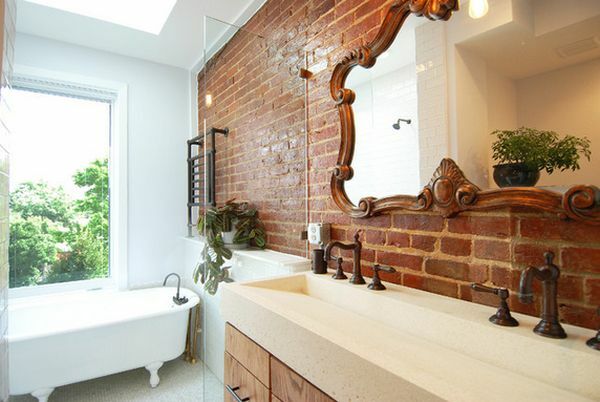 Although it’s a little bit unusual to see exposed brick walls in the bathroom, when you think about it, it’s not such a bad option. 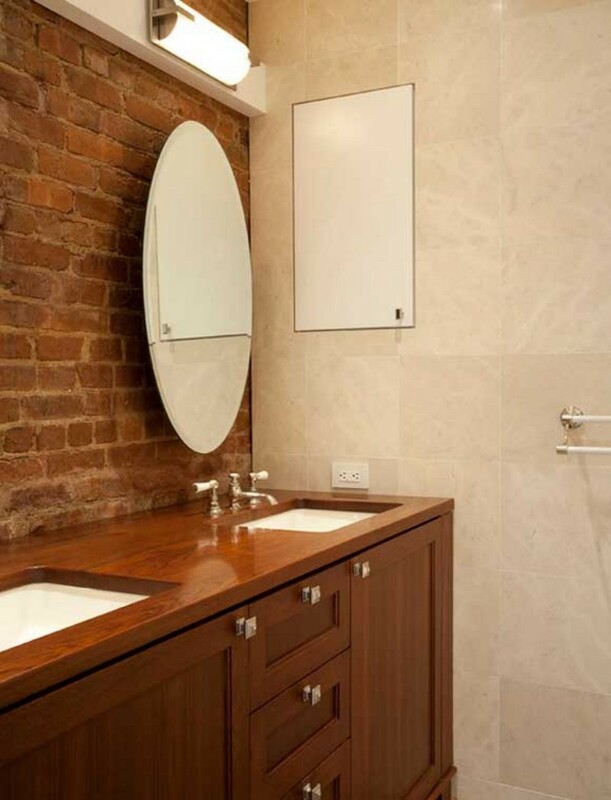 Use bricks instead of tiles for the walls and keep the floor plain and simple. 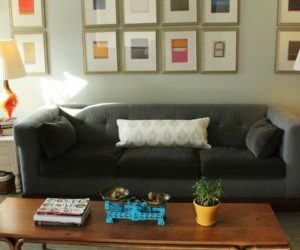 You don’t want to add too much drama to a space that’s most likely small. 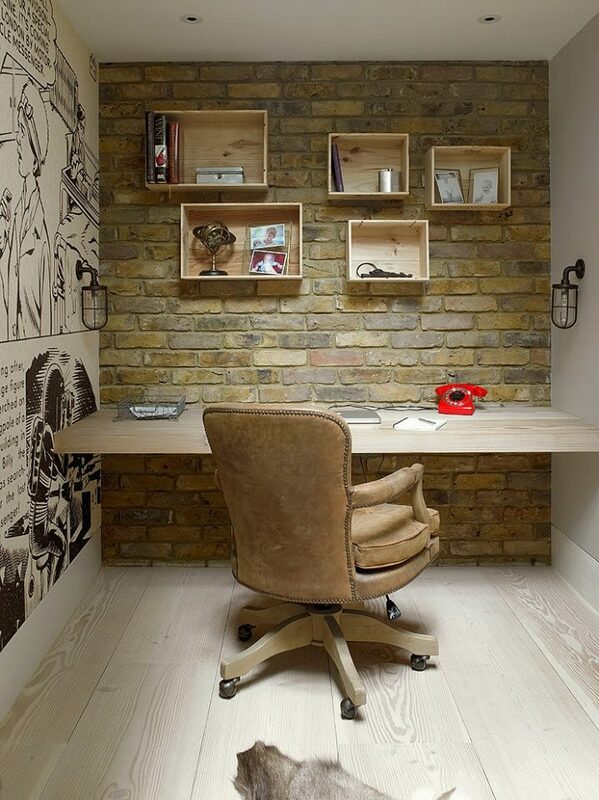 A home office, even though it’s part of the house and shares its overall harmony, often feels like a sober and cold space. 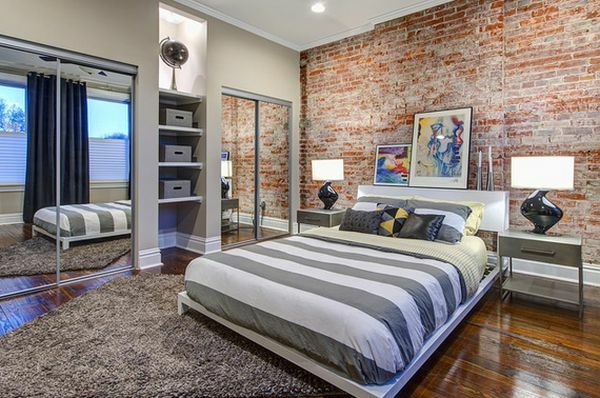 One way of making it feel a little more inviting and comfortable is with exposed bricks. 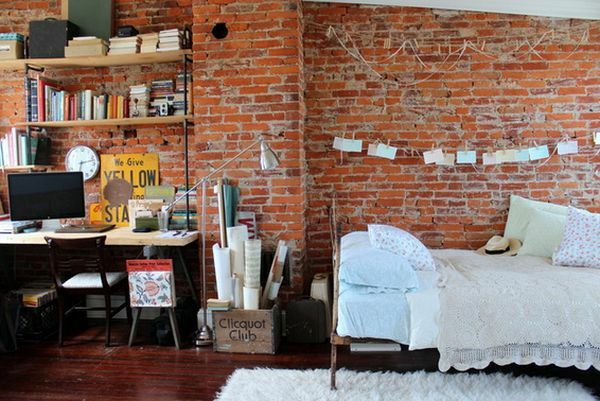 Try an accent wall, perhaps the one in front of the desk. 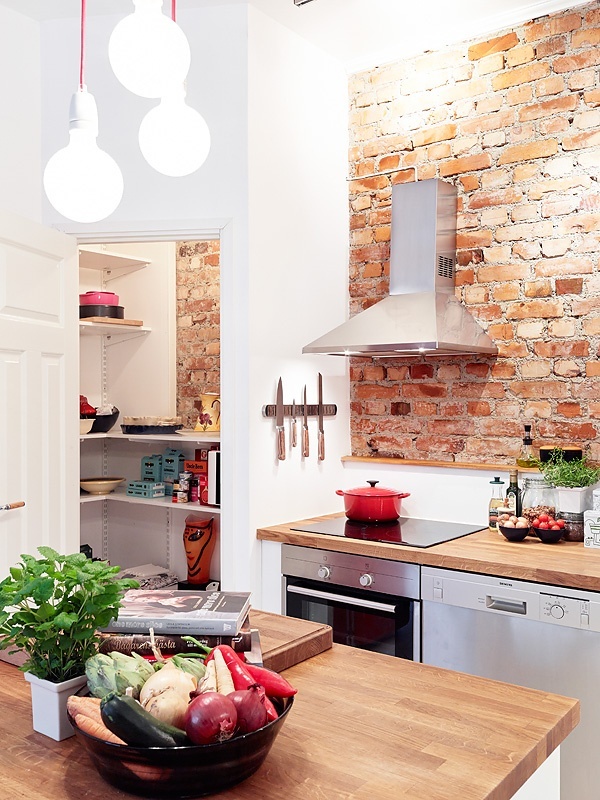 There’s more than one way of integrating exposed brick into a kitchen. 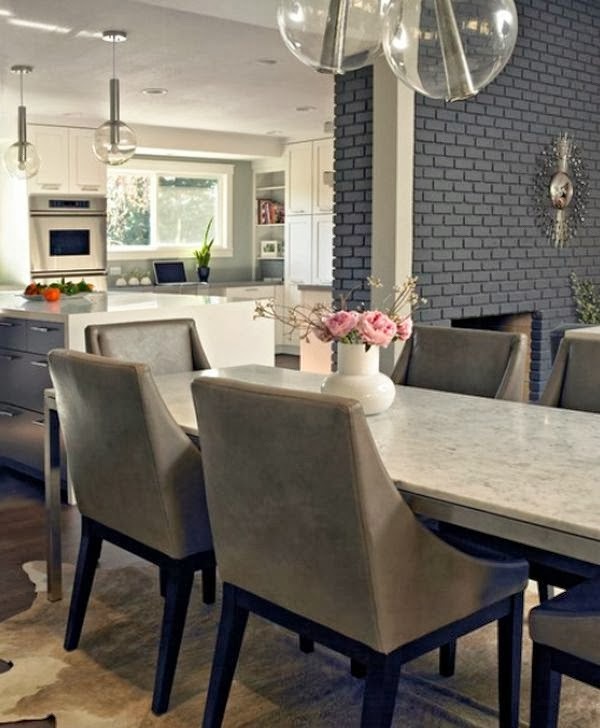 Sure, the backsplash is a nice option, but you can also have a feature wall or portion of it. 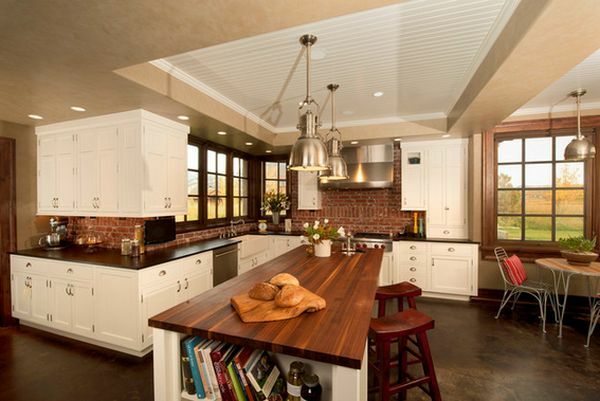 It can be a nice rustic accent in a white and cold kitchen, an element that makes the space feel balanced and complete. 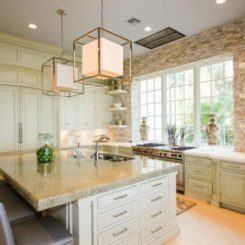 Another option can be to give the kitchen a more sculptural look. Try an arch for example. 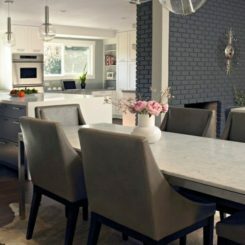 You can connect the kitchen with the living room and crate a semi-open floor plan. 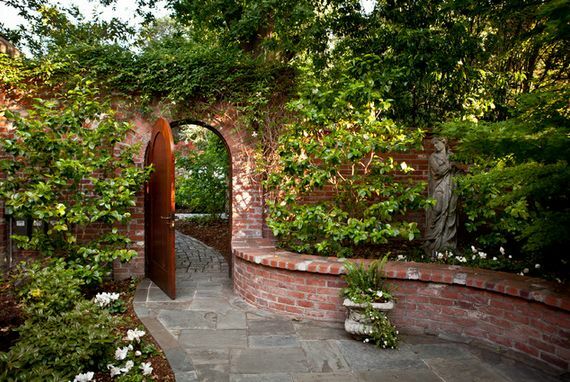 The arch can be the bridge between the two spaces. 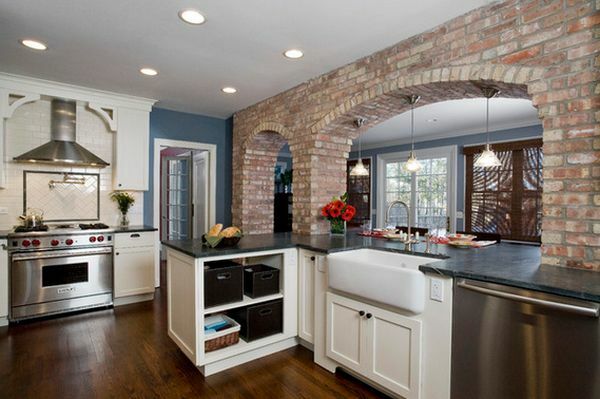 Also, the exposed bricks can be admired from both sides of the arch. 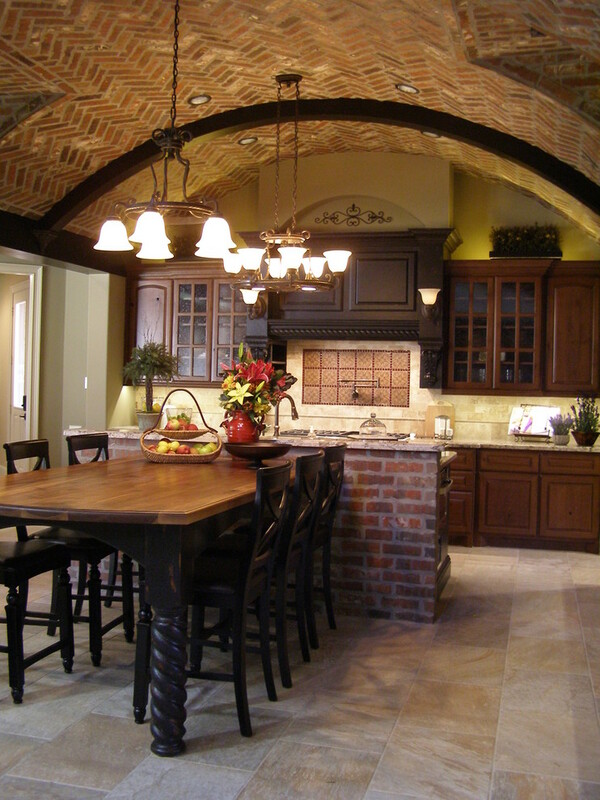 Speaking or arches and their sculptural beauty, you can also have one in an open space. 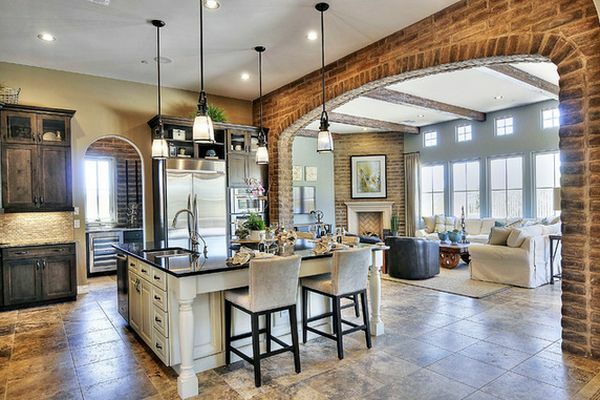 Try connecting two rooms by removing the wall between them and leaving only an arch behind. 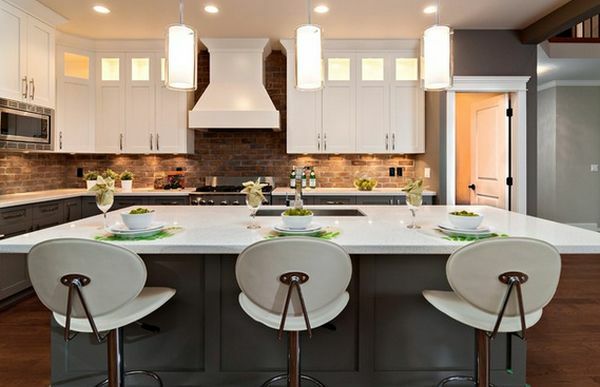 It’s a look you can adapt for both traditional and modern homes, depending on the style you prefer. 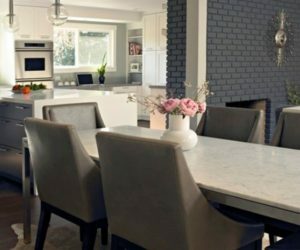 We mentioned at the beginning how exposed brick backsplashes can help you turn the kitchen into a more welcoming space. 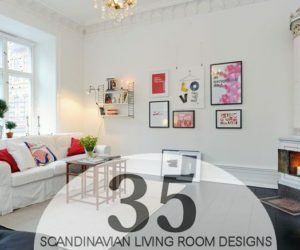 Again, this is a look you can adapt to the style you’ve chosen for the space. 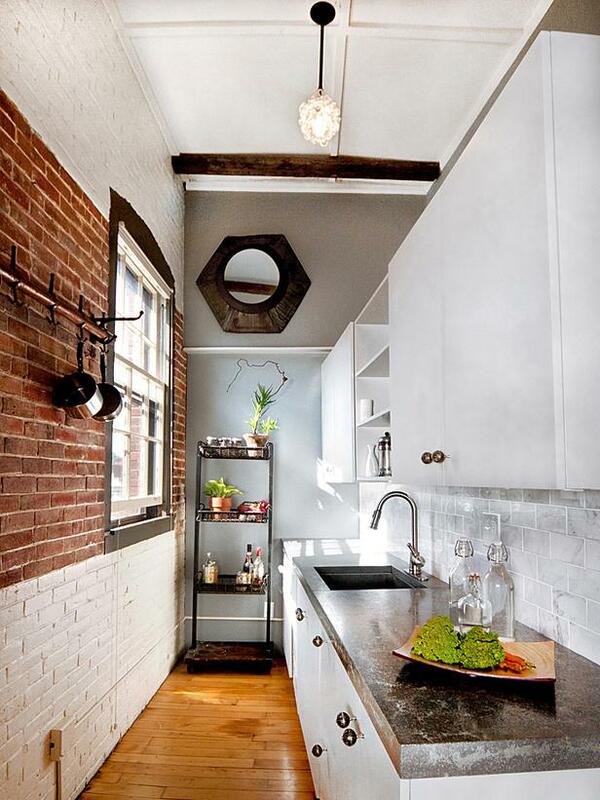 Create a kitchen with a rustic feel or one with a modern-industrial charm. 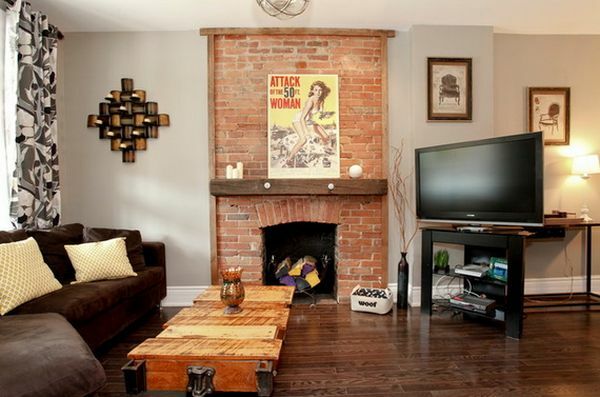 When we mentioned living room, we forgot about the most wonderful accent feature this room can have: the fireplace. 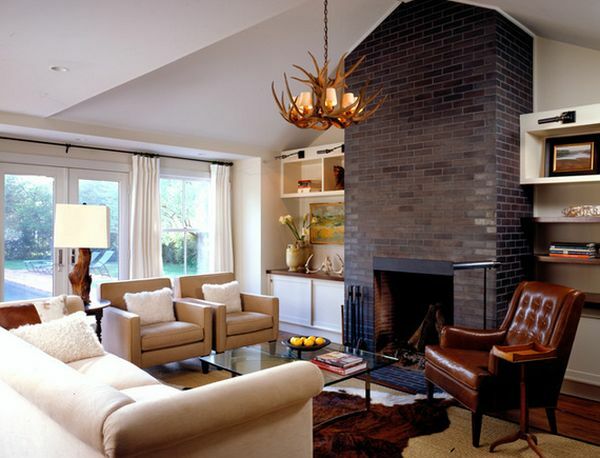 A fireplace will always be a focal point, whether you want it or not. 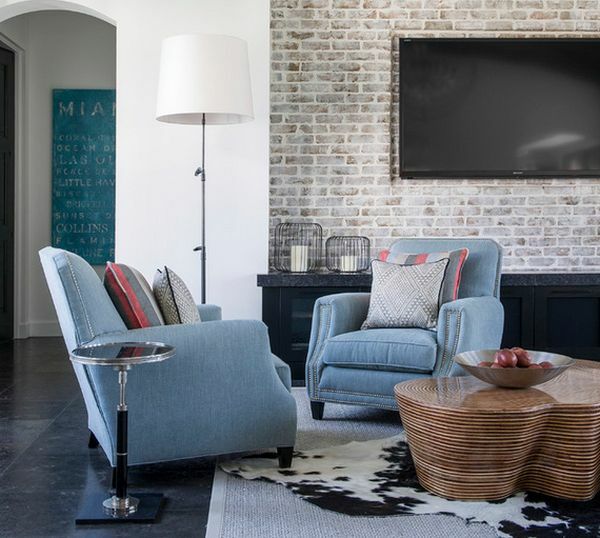 If you want to emphasize the warm and cozy feeling given out by this accent feature, use bricks to cover the fireplace wall. 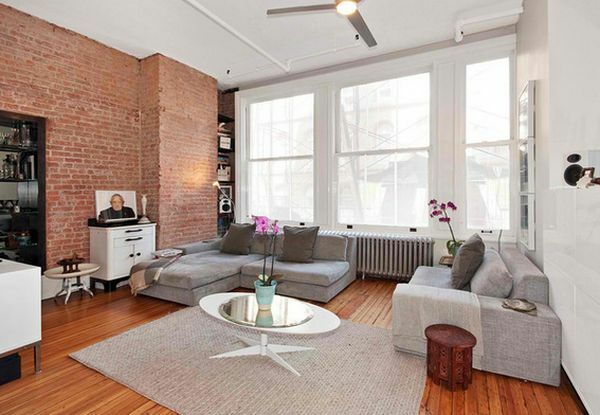 It’s not very common to see a ceiling covered with bricks. Nevertheless, you have to admit it’s an interesting idea. 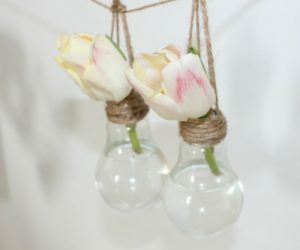 It’s a way of giving a room an eye-catching look while using simple and basic materials but in an unusual manner. Let’s now also turn our attention to the outdoors. 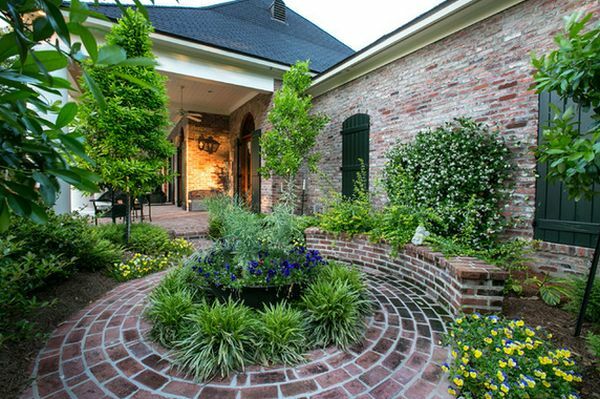 There are plenty of ways in which you can use bricks outside. 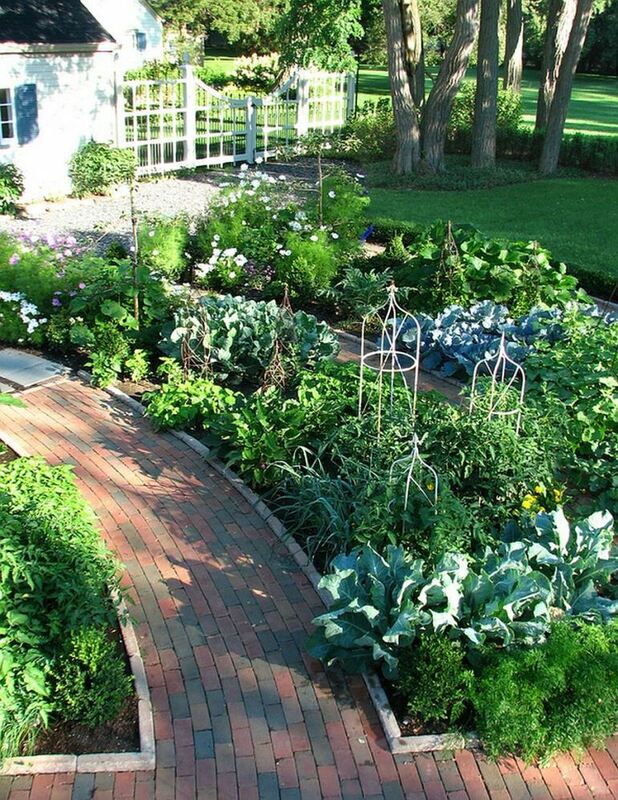 In the garden, for example, you can have brick pathways and walkways. It’s an alternative to stone or concrete. 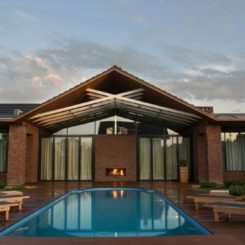 Bricks have a bit more personality than other materials so they’re a nice choice if you want a landscape that stands out in a simple way. 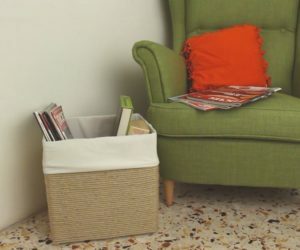 Give your guests a reason to associate your home with a warm and loving space before they even get to enter. 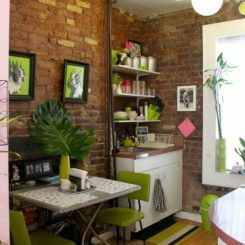 You can do that with an accent wall close to the front door. 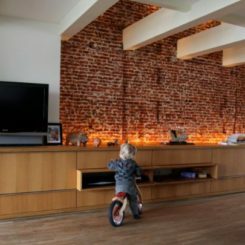 Bricks are something you can use for such a project. 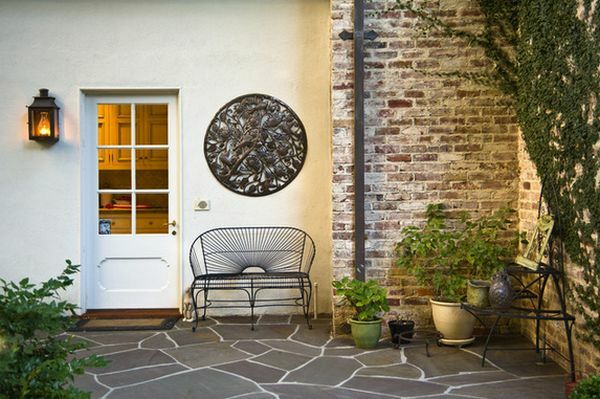 Make the outdoor spaces just as charming and welcoming as the indoor ones. 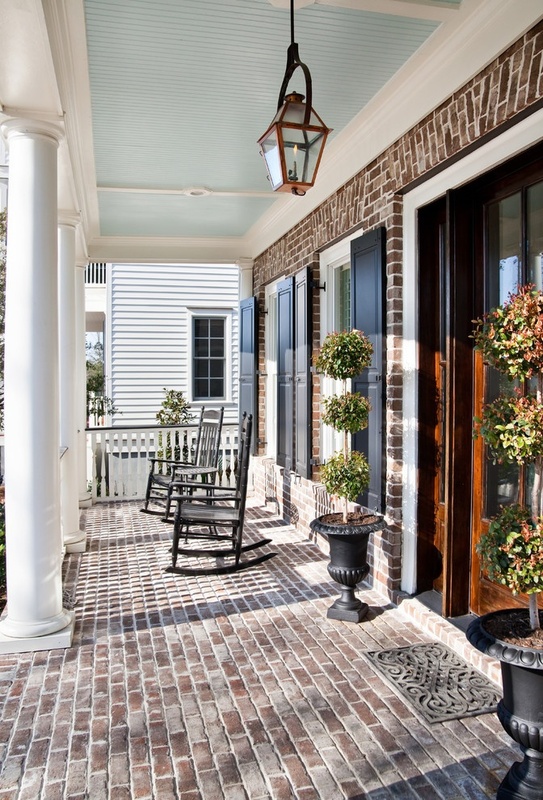 For the porch, you can opt for bricks for the floor and even for the walls. 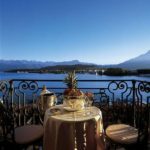 They’re resilient and require little maintenance, this making them the perfect material for outdoor areas. Outdoors, there’s one more place where bricks can come in handy as a practical material: the fences. You can create durable and resilient fences using bricks, similar to those made of stone but with a more rustic look. 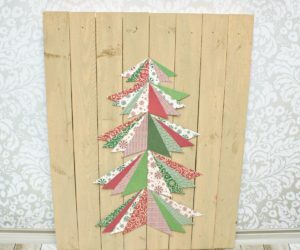 Great for traditional landscapes.